A relatively calm moment on Lago Pehoe. 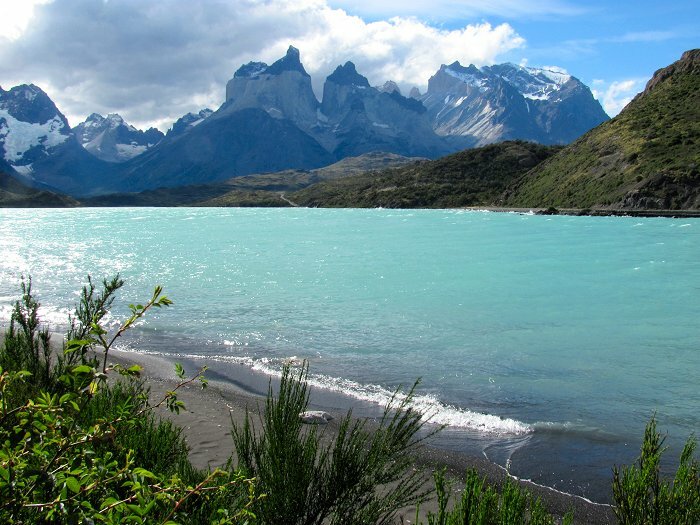 Paine Grande on the left and the Cuernos del Paine on the right. Between them, the French Valley.